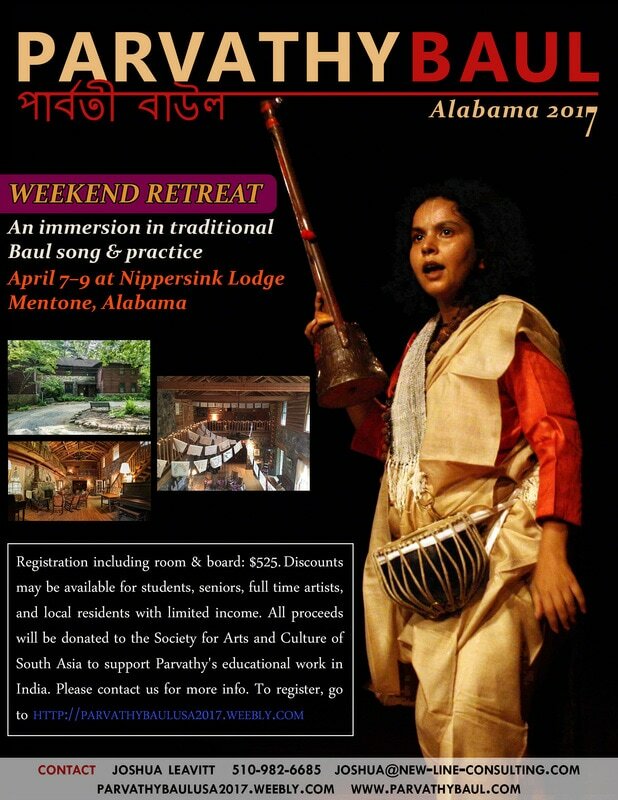 This retreat will be a chance to get a taste of traditional Baul song and practice and to immerse in the good company of others doing the same. 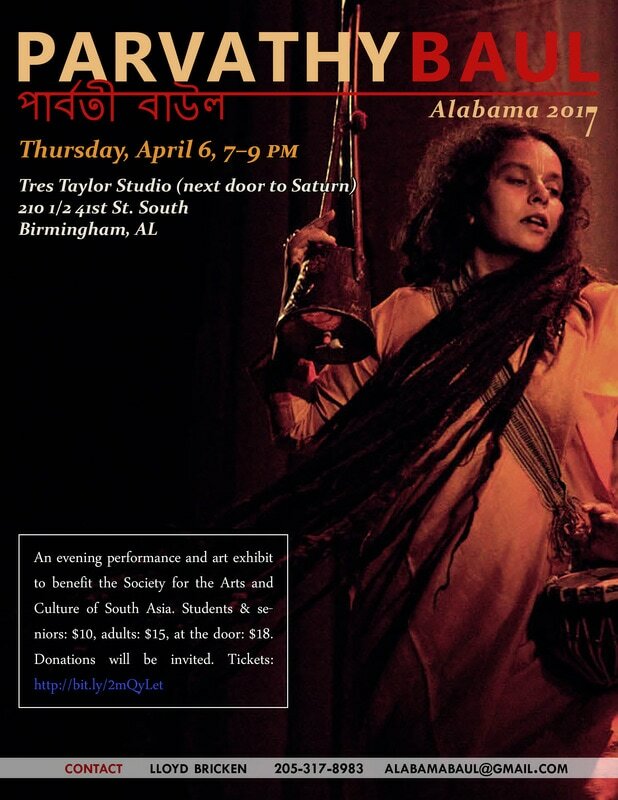 It is the only opportunity to spend close and sustained time with Parvathy during her spring U.S. teaching visit -- hearing stories, receiving individual instruction and training, and establishing a personal connection to the ancient tradition she represents. We hope to see you. Registration fee covers rental of Nippersink Lodge and meals during the retreat.